Science Project _ Which dishwashing liquid cleans the oil best? 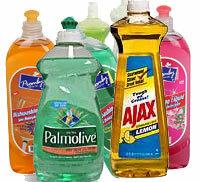 Almost all manufacturers of detergents claim that their products can clean better. What is the fact? Which one really cleans best? Some buyers compare the price and simply buy the more expensive one assuming that there must be a good reason for price difference. Those who are more price conscious, may choose the cheapest one assuming that they are all the same. In this science project you will perform experiments to compare three (or more) different dishwashing liquids for their ability to clean oil. More details or support on this project is available for the members of ScienceProject.com. Material needed for experiment or a science kit about this title may be available at MiniScience.com.